Moto is all set to launch Moto X4 Smartphone in India Soon which was announced at the IFA 2017 which comes with Dual Rear Camera and Snapdragon 630 processor. 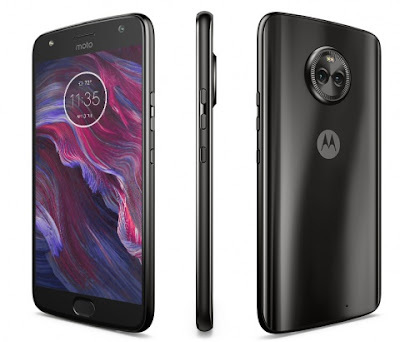 Moto X4 runs on Android 7.1 Nougat with support for Google Assistant and also has support for Amazon Alexa.On Camera, It has dual 12MP and 8MP rear cameras to take images with blurred background, portraits, selective black and white an option to change the background. It has a 16MP front camera with a 4MP new adaptive low light mode.Connectivity options include 4G VoLTE, WiFi 802.11 ac (2.4 GHz and 5 GHz), Bluetooth 5.0 LE, GPS, GLONASS, NFC, USB Type-C.It has IP68 certification for water resistance and has a 3D rear contoured design, Packed with a 3,000 mAh battery with support for Turbo Charging that promises six hours of power in just 15 minutes of charge.